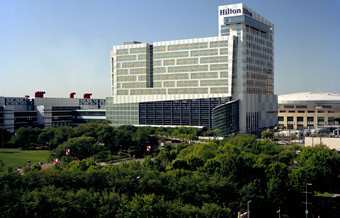 The meeting will be held at the beautiful Hilton Americas. Hilton Americas-Houston is the largest convention hotel in Houston, Texas, and proud winner of the 2006 Pinnacle Award from Successful Meetings Magazine. The Hilton is connected to the George R. Brown Convention Center via convenient skywalks, and is located a block away from Toyota Center and two blocks from Minute Maid Park in Houston. Our hotel is only minutes from the Houston, Texas theater district, which includes Jones Hall, The Wortham and Hobby Center. Nearby, visitors can also find the cultural museum corridor, which is home to the Museum of Fine Arts, Museum of Natural Science, Contemporary Arts Museum and the Holocaust Museum.